Is creativity reserved for a rare, chosen few—or is it alive in each of us, behind our every breath, our every heartbeat? 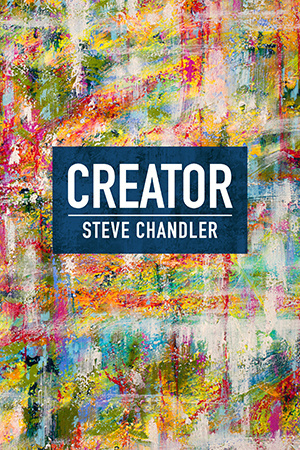 In CREATOR, Steve Chandler takes us on a voyage of discovery, beyond labels and categories, to a revelation about the true nature of creativity. It is not just within us—it is us. CREATOR opens our eyes and hearts to a new way of being in the world. Wise, poetic, funny—and eminently practical—CREATOR is a lucid and joyful exploration of who we really are. 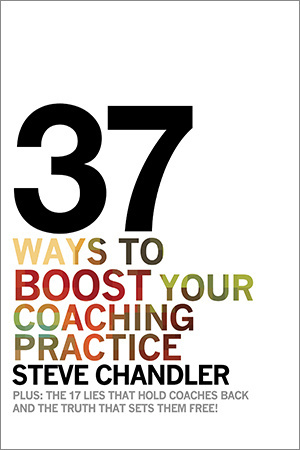 "This is Steve Chandler’s best book yet. His stories are funny, engaging, thought provoking and inspiring and he helps us see that we are all connected through our energy and creative potential. He helps me see my relationship to my God-given creativity differently. The source of everything is always there for us to tap into at any moment. I have used this book to change my work, my relationships and my life." "If the path to enlightenment is paved with the gold of insight, then Steve Chandler's book, CREATOR, is the Yellow Brick Road. Every page, paragraph, and even line, it seems, resonates with the truth that is within me and awakens me to a desire to create. To progress. To Be." “CREATOR is magic in print! I was completely captivated (and thoroughly entertained) by how Steve Chandler effortlessly floats between spiritually profound and real-world practicality and helps us navigate it all along the way. CREATOR breaks down the walls of our 'conditioning' (even his take on THAT concept created a big shift for me) and introduces us to a life made more prosperous, more fun, more fulfilling and more joyful through the always-available-on-demand power of our creativity!" “CREATOR takes the reader on an adventure of the spirit-waking us all up to the creative joy of life. Through masterful personal storytelling, Steve Chandler enables you to see for yourself the light of creativity, in all of us, that shows up in the ordinary moments of our lives. Buckle up and experience this extraordinary journey of the human spirit, born from curiosity, love, and consciousness. You will be touched, moved, inspired and rediscover how magnificent and connected you (and we) really are." 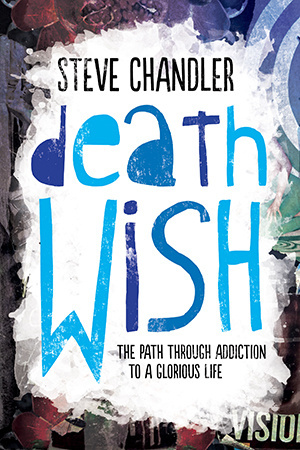 Steve Chandler's Right Now is his inspiring sequel to the brutally honest story of his addiction recovery, Death Wish. With his characteristically short, impactful chapters strung together like a chain reaction, Chandler brings us back to the source of all creation and joy: the present moment. 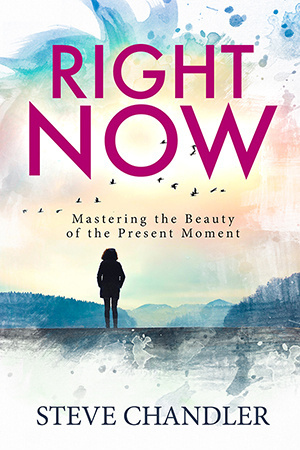 We are left not only with a deep appreciation of the beauty of the "now," but also with many highly-motivating insights into actions we can take RIGHT NOW that we used to think would take a lot of endless preparation and "inner processing." Like his bestseller Time Warrior, this book was written to be an antidote to procrastination and worried obsessions about our negative imaginary future. Not only does the skill of living in the moment not make you a couch potato, it actually supplies you with energy you didn't know you had. "I wrote this book during the most active time of the Death Wish project," said Chandler. "We had been shipping copies of that book to treatment centers, addiction counselors, prisons and schools and receiving heartfelt feedback on how a simple book can move people to see life from a place of greater hope and optimism. I wanted to write a book during that uplifting time in my life that expressed the hidden energy contained in the present moment...the infinite creative potential of it." Based on his decades of experience as a corporate trainer and business coach, plus the improbable journey his own life has taken from addiction, divorce and bankruptcy, Right Now is short on theories and strategies but long on real world experience. 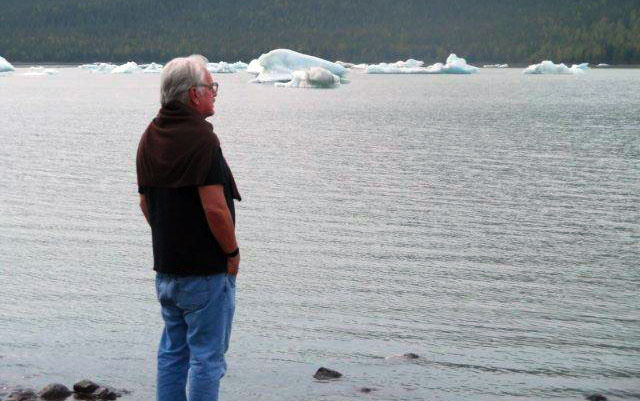 "I had actually decided after Death Wish to retire from writing," Chandler said. "I couldn't think of anything else I wanted to say. And there were more than enough books by me out there in the world. But one morning I woke up, and then woke up again. I had just dreamed of a book cover that said RIGHT NOW and I realized that I had to write it. The idea was simple: There are things you can do right now. And there's a joy you can feel right now." "Death Wish…could not put it down until the very last drop. A eulogy to be sung at ego’s funeral. GOD, Good Ole Death. Your book will help to evolve our species. My soul is vibrating, and for that I thank you. I am already giving your ode to the glorious life to friends, with the echo of my laughter and tears." Death Wish dives into addiction, death and suicide. 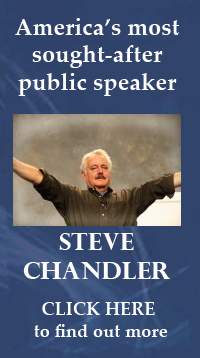 Steve Chandler tells stories he has never told and tells the truth he's hidden inside himself. Chandler shares his own experience, strength and hope with those who are still confused and depressed by these forces. This really is about a true death wish. And. . . how to have that wish disappear. The Advanced Client Systems program is the radically strengthened and upgraded version of the Coaching Prosperity School that has so many famous grads and has been training coaches in building prosperous practices since 2007. It includes and transcends all the teachings and principles of the same Steve Chandler Coaching Prosperity School that has won rave reviews from such graduates as Michael Neill, Rich Litvin, Stephen McGhee, Carolyn Freyer-Jones, Ron Wilder, Dusan Djukich and so many other of the world's best-known coaches. This is a program in which people who already know how to coach come to learn systems…..systems for the acquisition and cultivation of clients, and the building of a prosperous coaching business. There's bad, there's good... And then there's CRAZY GOOD. Steve Chandler's latest delivers a series of enlightening CHOICES we can make to have our lives soar FAR BEYOND anything we thought possible. The hypnotized "I'm fine" life of "barely good enough" is revealed here to be thoroughly unnecessary - and easy to break free from. The CHOICES Chandler gives us are clean, clear, simple to execute, and based on more than twenty years of training over thirty Fortune 500 companies and coaching hundreds of high-achieving individuals. This is Chandler at his best. 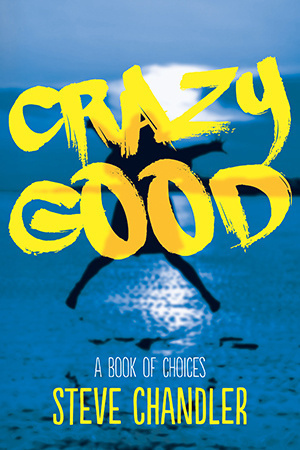 Choose NOW to create a life that's CRAZY GOOD. I am very happy to announce a brand new daily video show I am doing with Jason Goldberg called The Not So Serious Life. Jason and I will answer viewers' questions on how to put creativity, fun and the spirit of play into our work and home life so that all our days can be successful and crazy good. Look for ways to touch the soul. Remember what coaching's really about. It's about looking for ways to touch the soul, and having someone's life change. Coaching simply can't be sold like other things are sold. And that turns out to be good news. Once you begin practicing true connection, you become successful.